If you were Feelin’ Way Too Damn Good on this Monday afternoon, try not to Throw Yourself Away and just remember to Breathe for the next few minutes. 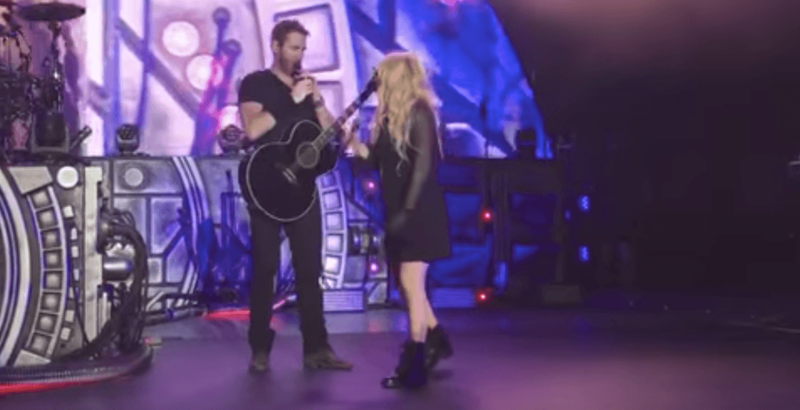 In a Canadian collaboration that literally nobody asked for, but everyone got, Avril Lavigne joined Nickelback on stage during the band’s LA show on Friday. Yes as if the 32-year-old “Sk8er Boi” singer hasn’t been through enough – what with her battle with Lyme disease and her divorce from Nickelback frontman Chad Kroeger in 2015 – Ontario native Lavigne thrilled crowds with her first on stage performance for more than three years. Unfortunately Thankfully the moment was captured on camera by a concertgoer who posted a video of the duo (alongside some guy named Owen, who the band apparently plucked from the crowd to join them on stage), to YouTube. The clip – which begins with almost three-and-a-half minutes of inane banter between Kroeger, Lavigne et al – eventually develops into a musical spectacle that sums up the very worst of Canadian music. And for those who wanted One Last Run of the experience, both Nickelback and Lavigne tweeted about the encounter. Because, well, of course they did. Upon viewing this video, we realize that there’s only one thing that we, as Canadians, can say in a response to a situation like this: Sorry world.